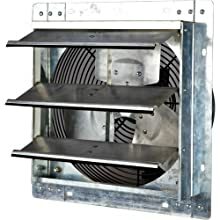 The iLIVING Shutter Exhaust Fan is perfect for removing excess heat, moisture, and unpleasant odors from virtually any commercial location, including restaurants, factories, warehouses, barns, and greenhouses.This fan features aluminum blades, OSHA compliant wire guards, and automatic shutters that open and close in tandem with the operation of the fan. The completely enclosed motor is thermally protected and permanently lubricated.The fan comes fully assembled out of the box; only installation required is the electrical hard wiring. The shutter fan comes in 8 different sizes: 10 inch, 12 inch, 16 inch, 18 inch, 20 inch, 24 inch, 30 inch, and 36 inch; the 18 inch shutter fan has both a variable speed model and a single speed model. The iLIVING 30 inch and 36 inch shutter fans are only available in single speed. For variable speed models, the ILG8SFSC speed controller is sold separately. Product Dimensions: 4.53 x 13 x 13 (LxWxH, in inches); 7.4 lbs. Shipping Dimensions: 13.8 x 13.8 x 9.4 (LxWxH, in inches); 10 lbs. 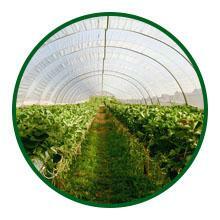 Temperature and humidity control are keys to a successful greenhouse. 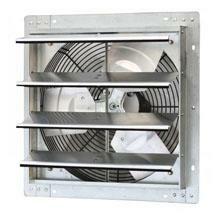 iLiving shutter fans help move air in and out of growing spaces to keep your plants healthy. 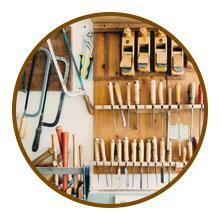 Dust collection, lingering odors, and musty work environments are simply a thing of the past. iLiving shutter fans are easy to install in garages, workshops, or any other environment you need. Keep your inventory safe from heat, humidity, and odors. 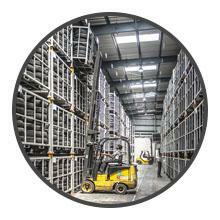 iLiving shutter fans are built to last and are the ideal product for large warehouses requiring airflow and ventilation. Move massive amounts of air with iLiving shutter fans. With hundreds to thousands of CFM (Cubic Feet of Air/Minute) benchmarks, you can be sure of a well ventilated work environment. 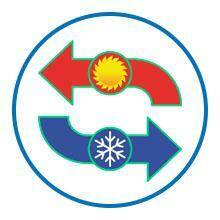 Lower amounts of building heating and cooling translates into lower cost utility bills. 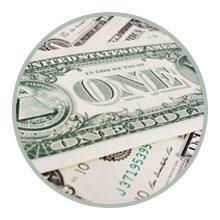 Save more each month with iLiving's powerful and high efficiency shutter fans. Every component of the shutter fan - from the galvanized steel frame to the corrosion resistant blades - is assembled with precision so that all you hear is a gentle breeze. Our long lasting permanently lubricated motors built out of stainless steel insures that this shutter fan will be extremely durable. iLiving's factory has been manufacturing fans for over 30 years. 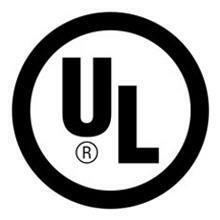 All of our shutter fans meet the highest UL (Underwriter's Laboratory) testing standards in the industry.